The Fuji FCR 1 Shot Phantom provides a system wide quality analysis by incorporating eight performance tests in a single exposure. In addition to a practical analysis of the FCR Reader, the test tool provides an image that can be used system wide to evaluate monitor workstation and laser printer performance. Only minutes to expose and interpret, the FCR 1 Shot Phantom has no moving parts and requires no electrical power. The process does not interfere with equipment operation or with patient workflow. A comprehensive QA system, complete with phantom, manual and reporting forms is incorporated into a single package. Relative Sensitivity (S#) Calibration Test – Confirms the consistency and calibration of the x-ray exposure inits and PMT of the CR image reader. Shading Test – Confirms the uniformity of the CT light guide and optics. Contrast Evaluation – Confirms the consistency of the x-ray exposure unit, image proessing of the CR image reader, workstation display and hardcopy printer. Sharpness Test – Confirms the x-ray tubes performance, CR Reader optics, monitor display and hardcopy printer. Laser Jitter Test – Confirms the consistency of the CR Reader, laser printer optics and transport systems. Image Noise / Artifact Test – Confirms the uniformity of the x-ray beam, condition of the imaging plates, dirt or other foreign matter on the CR Reader light guide, monitor degradation, and film processor artifact. 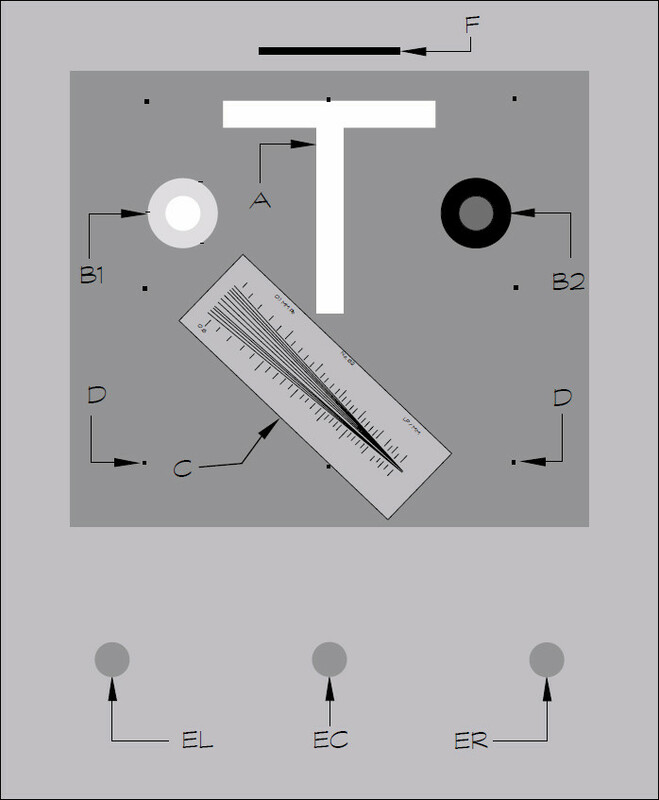 Primary Erasure of Imaging Plate Test – Confirms proper performance of the CR image reader erasure lamp mechanism. Accuracy of Measurement Tools/Scale Test – Confirms accuracy of workstation measurement tools and image printer scale. System Linearity Test – Confirms EDR function and CR image reader linearity.